The 2Gether training room table collection from Global offers unrivaled functionality and appeal. 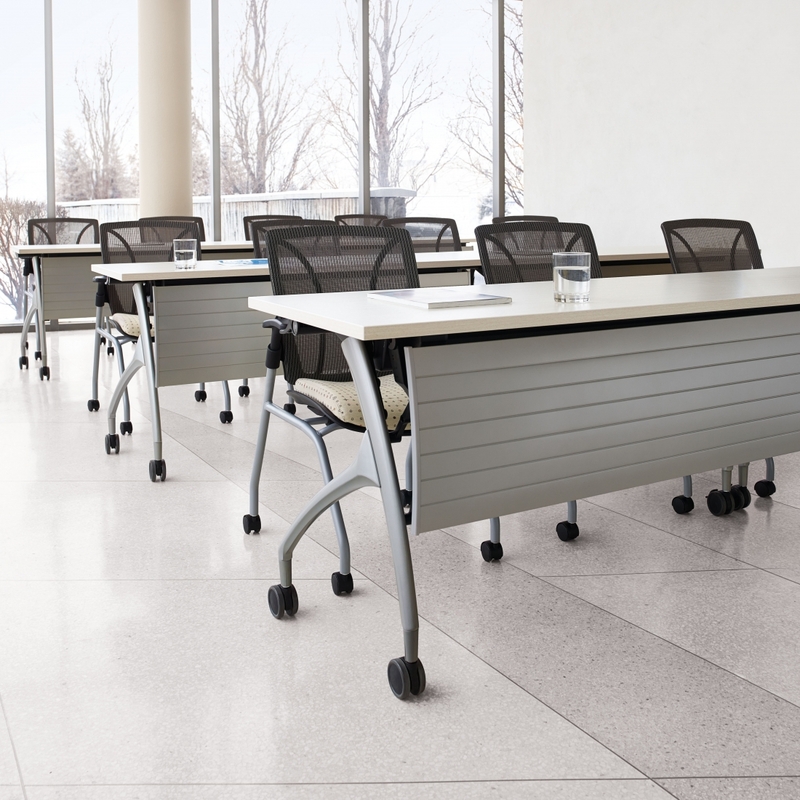 This line of multi purpose training room tables will help improve versatility and operational versatility in no time. Today on Office All Stars we'll take an in-depth look at the 2Gether line and the features that have made it favorite of design teams and industry professionals alike. Today's best training rooms promote collaboration. They also have to be able to adapt at a moments notice to meet the needs of any specific group activity. That's where 2Gether tables excel. With modular capabilities, these top of the line training room tables can be used individually, or ganged together to form multi user layouts. If you're on the hunt for office furniture for the training room, these tables are a must consider. Global has truly outdone themselves with the 2Gether line. The flip down tops operate effortless and allow tables to be nested along perimeter walls when not in use to maximize valuable square footage. When tables are needed, simply drop the tops and you're ready to roll. 2Gether tables also boast mobilized bases that make reconfiguration a breeze. 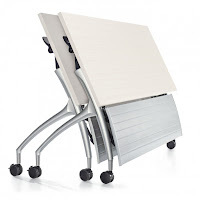 While fixed leg models will always have their place in classroom settings, businesses are turning to mobile training room tables from Global Total Office to make life in the office easier. Mobilized training tables can be used to combine conference, meeting, and training environments. They're simply too versatile to pass up! All of the tables from this hot new collection are available in extensive laminate finish options that pair perfectly with attractive silver bases. Cutting edge tones like Absolute Acajou and Asian Night will help keep your collaborative environments up to date with the latest trends. In terms of price, 2Gether tables are definitely more expensive than average models available in 2016. That being said, these tables are far from average. 2gether training room solutions are incredibly well built, durable, and far more user friendly. The initial cost should be looked at like an investment into long term performance. 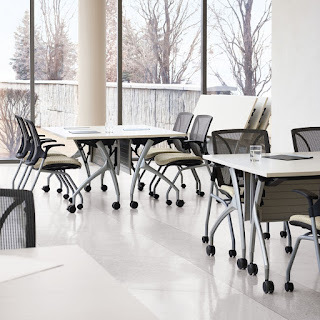 When paired with training room chairs from Global you'll be on your way to an elite interior that gives you and you're valued employees the edge over the competition. The 2Gether collection deserves nothing less than a 5 star rating. These modular training room tables are the best in the business. We'd feel confident putting them up against any other tables on the market today. With extensive size and finish options, you're only limited by your own imagination. If you want the best for your training environment, get 2gether with Global's best new collection. You'll be glad you did!